Stéphanie Gauvin’s artwork has been featured on a new Canadian silver dollar. Rossland artitst Stéphanie Gauvin’s artwork has been featured on a new Canadian silver dollar from the Royal Canadian Mint. 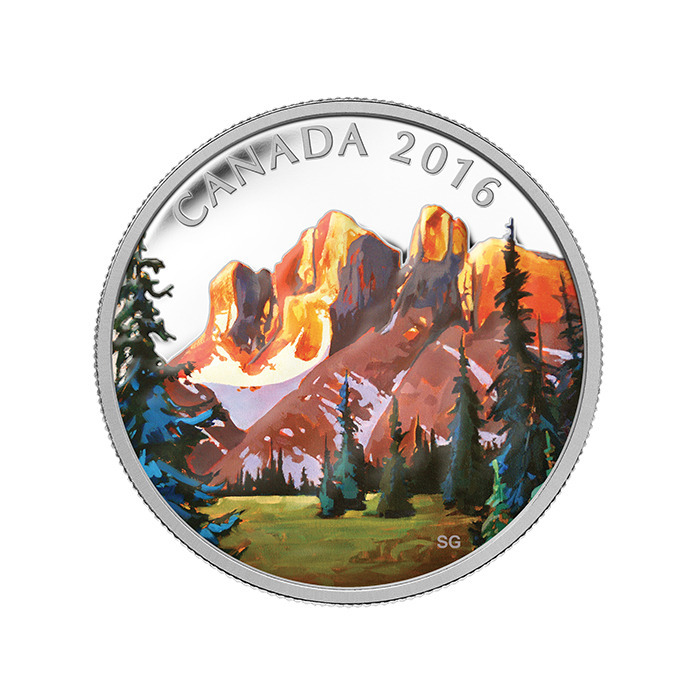 The coin is called “The Rockies” and is the first in a new series called the Canadian Landscape Series. Gauvin was approached by the Mint in March, 2014 because her work stood out as a good fit for the project. The coin can be purchased on the Royal Canadian Mint’s website, and only 7,500 are being produced, making it a rare coin.